As I’m sure many people across the world felt these last several days, as the winter games played out on the other side of the planet in Pyeongchang, the crew at Volume One got a little caught up in Olympic fever. 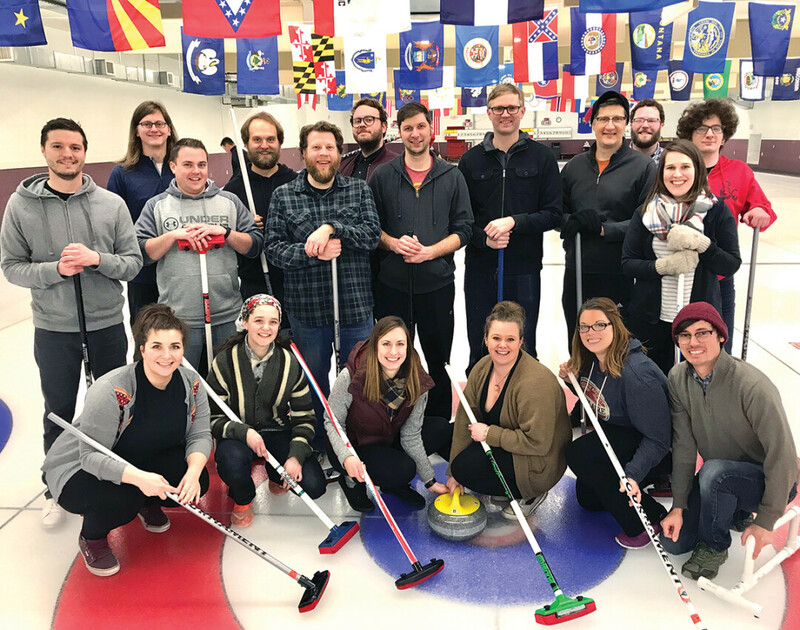 So last week, as part of our staff’s two-day annual meeting, we decided to hit the ice at the Eau Claire Curling Club to throw a few stones down the sheets. I’m happy to say that out of the 18 of us on the ice that day, only two fell down. And we consider that success. If you’ve yet to sample this surprisingly addictive sport, I’d encourage you to look up the club and attend an open house at the Eau Claire County Expo Center. Beginners are very welcome, and as the sport is somewhat legendary for its etiquette and camaraderie, it’s almost guaranteed nobody will make fun of you as you attempt to get the hang of it. With some legitimate winter Olympic pedigree in this town through both curling and ski jumping, it’s fun to plug into the games on a deeper level by actually trying your hand at one of the sports least likely to cause serious injury. Plus, it’s just one of the many interesting ways we can take winter and make it fun in this neck of the woods.